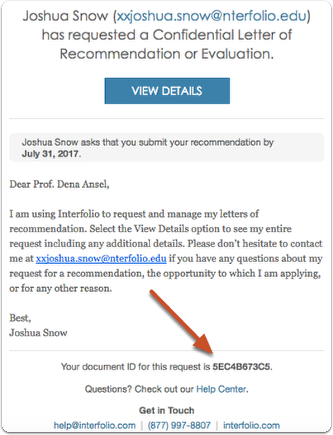 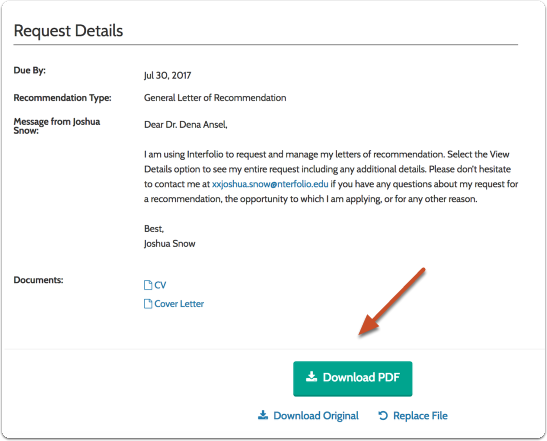 If you expect to see a letter request, but it does not appear, you can search for the request using the request ID number. 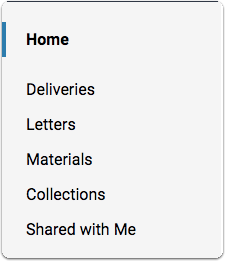 Sign in to Dossier, and click "Letters" on your navigation bar. 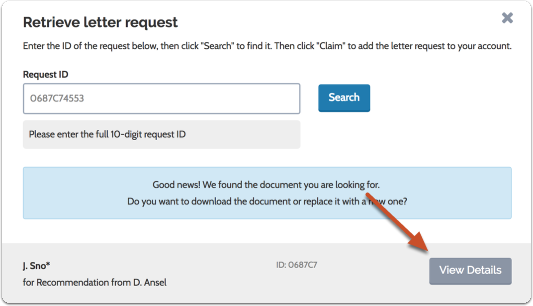 Enter the ten digit request ID number and click "Search"